Union Public Service Commission launch notification of post Assistant Agricultural Marketing Consultant, Financial Officer, Assistant Director, Senior Artist (Assistant Agricultural Marketing Advisers, Economic Officer, Assistant Director, Senior Artist) Assistant Agricultural Marketing Advisor, Economic Officer, Assistant Director, Senior Artist has invited applications for recruitment of 21 vacancies . The last date for application is 15 November 2018. Candidates for these positions will be selected on the basis of interview and experience. 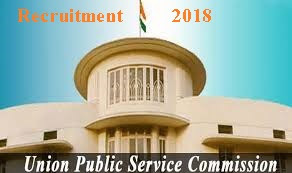 Education qualification – education and other information visit the UPSC Public Service Commission website. How to apply -Candidates Ora Website http://www.upsconline.nic.in to apply for all the above given positions. Candidate for detailed official notification and other information. Employment News paper 27 October – 2 November 2018 Page No. See 03 .. Apply soon – 21 vacancies of of post Assistant Agricultural Marketing Consultant, Financial Officer, Assistant Director, Senior Artist (Assistant Agricultural Marketing Advisers, Economic Officer, Assistant Director, Senior Artist) Assistant Agricultural Marketing Advisor, Economic Officer, Assistant Director & Senior Artist. last date for application is 15 November 2018. Candidates for these positions will be selected on the basis of interview and experience.